It is often that I see Euphorbias being confused for cacti, and for good reason! 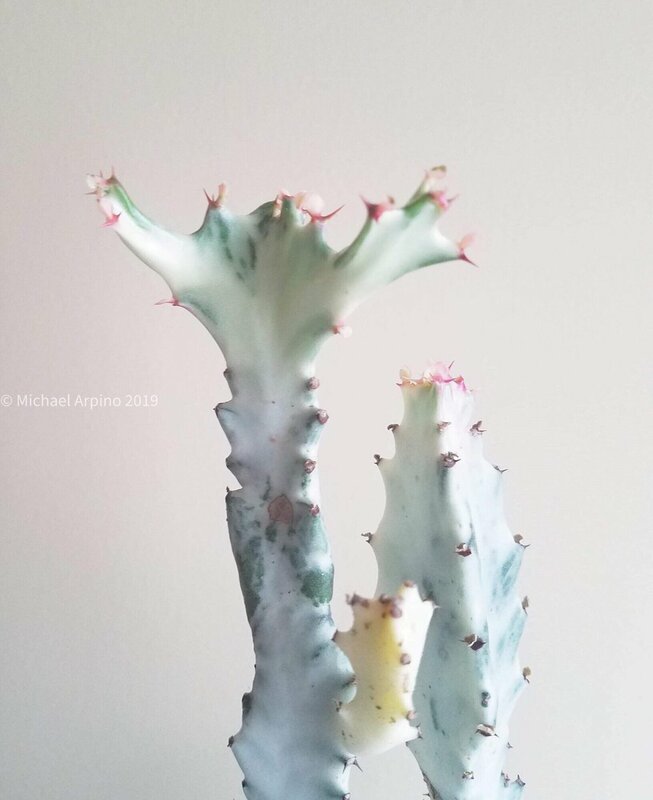 For one, a lot of Euphorbias are marketed as cacti in nurseries or have common names that use the word "cactus" (think Pencil Cactus, Coral Cactus, Cathedral Cactus, and many others). On top of that, it can be hard to tell the difference between the two types of plants, visually. Many succulent Euphorbias look very cactus-like with branching arms, ribs, and pokey parts. Cacti and Euphorbias are only very distantly related, though, so why do they often look so similar? A thing called "convergent evolution" is why. 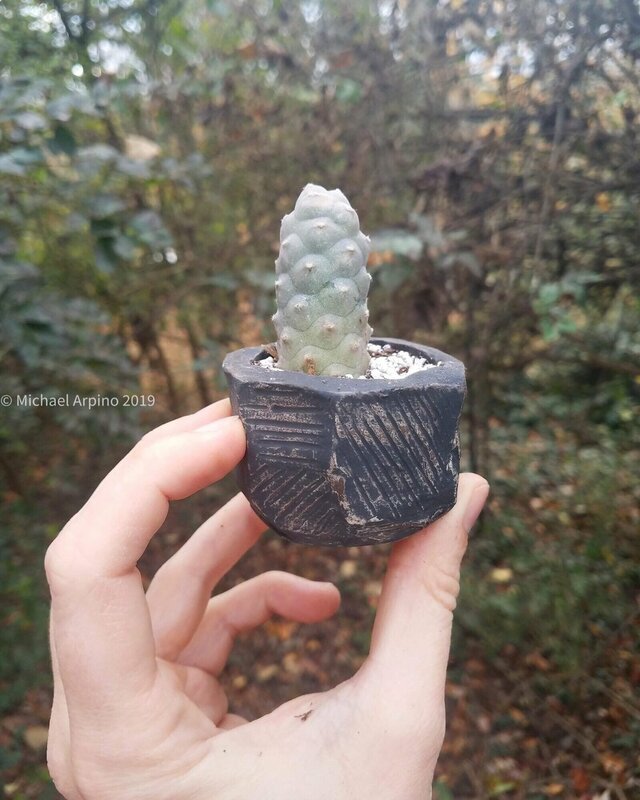 You see, the environmental conditions in which many species of Cacti and Euphorbias evolved are very similar, and even though they are not closely related, they evolved with characteristics that are very similar in response to these conditions. Take the Peruvian Apple Cactus (Cereus repandus), for example, and compare it with the Candelabra Tree (Euphorbia ingens). Cereus repandus evolved in South America, far away from Southern Africa, where Euphorbia ingens evolved. Both plants grow into tall trees with woody trunks (called "corking"), both have ribs which help the plant body to expand when taking up moisture from downpours after long droughts, both store water for those long droughts, and both have prickles to defend themselves. So what sets Cacti and Euphorbias apart from each other if they can otherwise be so similar? Cacti, with one exception (Rhipsalis baccifera), are native to the New World only. There are no European, Russian, or Australian cacti, and no African or Asian cacti (except for that one species of Rhipsalis). Euphorbia, on the other hand, are native to many parts of the world, but the most cactus-like are from Africa and India. Both Cacti and Euphorbias have prickles, but they have different kinds of prickles. Cacti have spines, which are modified leaves, and they come from areoles, which are structures that all cacti have. Euphorbias most often have thorns, usually in pairs, which are modified stems. Euphorbias do not have areoles. Both Cacti and succulent Euphorbias store water for dry spells, but all Euphorbias contain a toxic sap called "latex." If you cut open a succulent and it weeps this white sap, it is probably a Euphorbia. Both Cacti and Euphorbias flower, but the flowers usually are very different. Cactus flowers are often brilliantly flashy and showy, while Euphorbia flowers are usually understated. Euphorbia flowers are often a pale greenish-yellow color. There are some Euphorbias with brilliant flowers, though, like Euphorbia milii (Crown of Thorns). So that is the similarities and differences between Cacti and Euphorbias in a nutshell. Now you can take a closer look next time you see a spiny succulent and know whether it is a cactus, a Euphorbia, or something else. For more great content from Michael Arpino, click here to join to our Facebook group, House Plant Hobbyist!